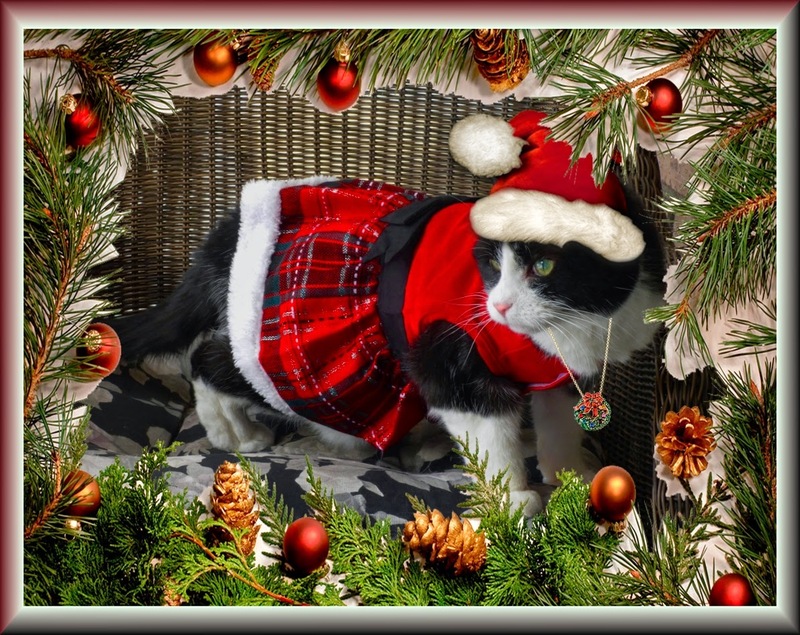 This is Domino's latest Christmas frock. Every year she gets a new one. This year it's red wool with a plaid skirt trimmed in white fleece, and accented with a black satin bow at the waist. 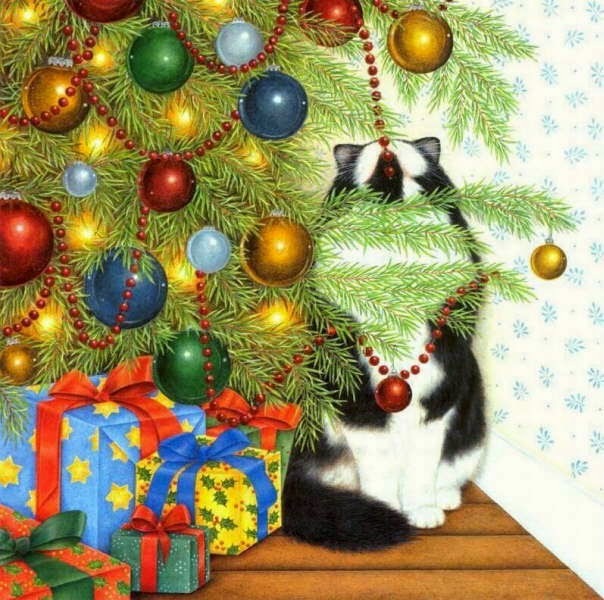 Of course, her red Santa hat pairs with this PURRfectly. 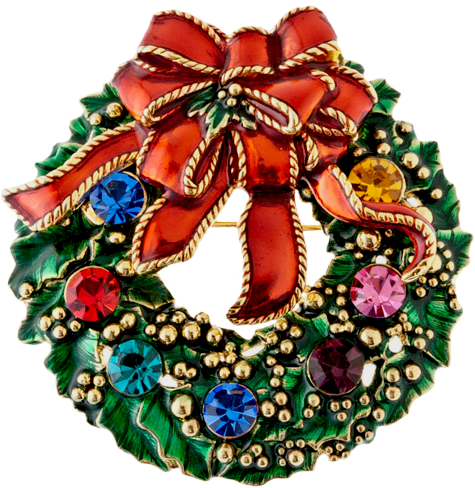 She is also wearing a gold Christmas wreath pendant embedded with precious gems and topped off with layers of red bows. 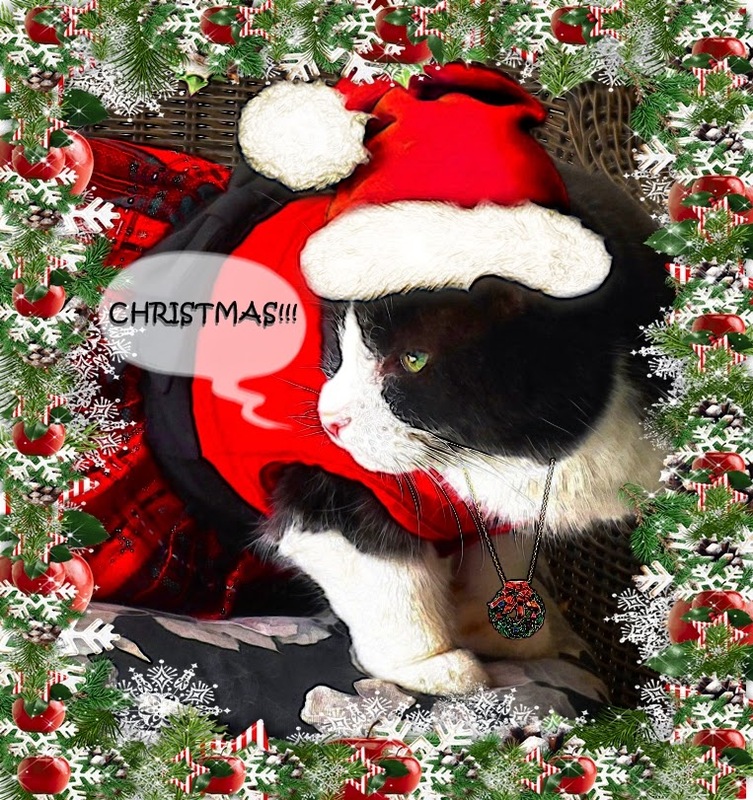 Doesn't Domino just scream "Christmas"?